Hello there…Mary here from Gennifer’s creative team. 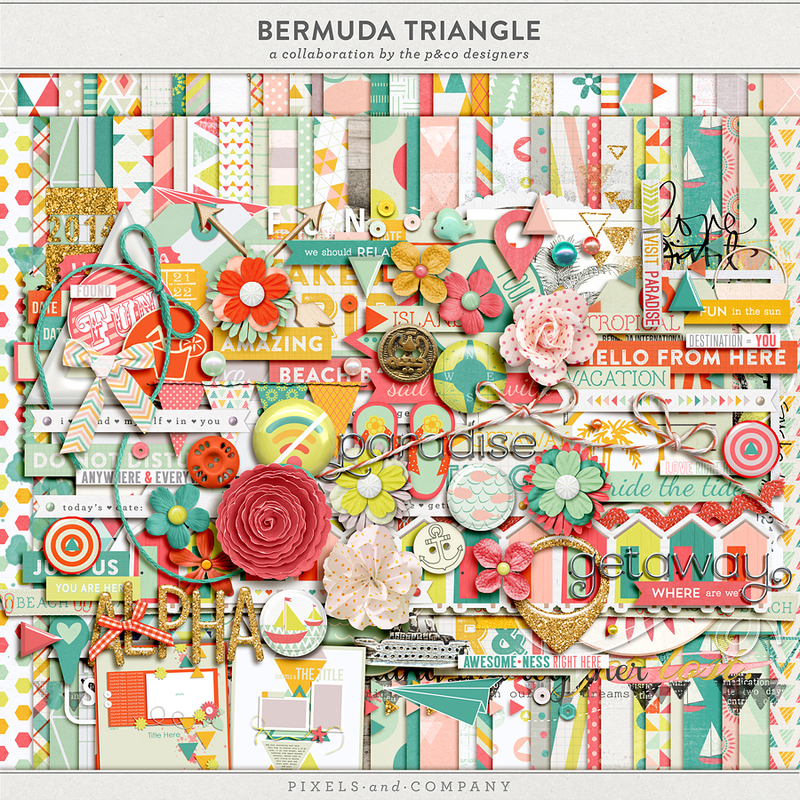 Have you ever wondered how you can create those triangle shapes in Photoshop? 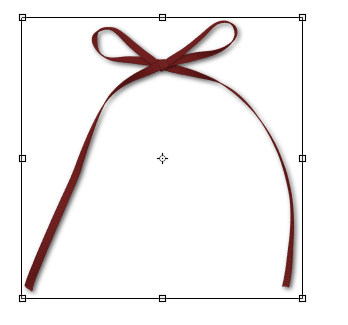 Yes, great today I’m going to show you how to create a template using your Polygonal Lasso Tool. You will need to find the polygonal lasso tool on the left side of the screen and maybe 3rd icon from top. If you haven’t found the icon, go to the 3rd icon from top and then right click to see the optional tools. In your layers palette you will need to create a new layer for each new shape. Look at the 2nd picture if you don’t know where it’s at. Next you will create a triangle shape similar to the one in the screenshot using the polygonal lasso tool. 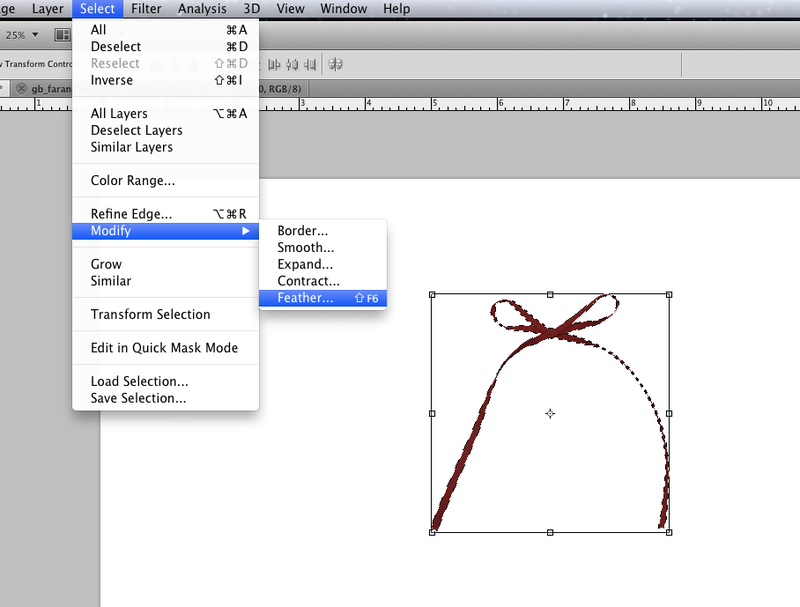 Make sure you click on your layer 1 when you create the shape, this is an important step. You should get a set of marching ants around your shape next go to Edit -> Fill-> choose a color you like and click OK you will have a color filled shape. To remove the marching ants from your shape go to your menu->Select->Deselect. You will then continue to create new layers and shapes as pictured below. This is what you will end up with when you have completed your template. I hope you enjoyed my tutorial. Let me know if you have any issues and I’d be happy to try and help. I have created a template for you all to enjoy. If you use it link us up here. Hello there…I’m Angie from Gennifer’s creative team and I’m going to give you a few tips and tricks on how to create your own custom shadows. 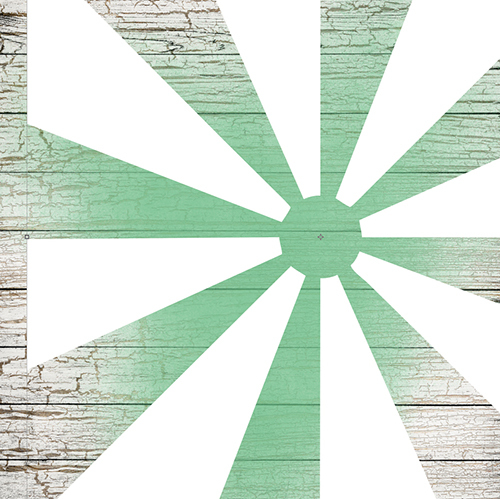 Now you can always use the default shadow in Photoshop’s layer styles…and I do most of the time. But sometimes you just want a little something extra and that’s when I make my own shadow. It just gives the item a slightly more realistic feel. First, add a new layer UNDER the item you want to shadow. Now, with your blank layer highlighted in the layers panel, hold down the Command button (or Control button on a PC) and hover your curser over the SHAPE in the layer above. Note: it has to be over the shape and not the name of the layer. Click on the shape and you should get a set of marching ants around your object over in the layout. Next go to Select – Modify – Feather. I usually feather it between 5 – 9 (pixels), but this will depend on the size of your canvas (mine is a 12 x 12) and what feels more realistic to you. I’m using a 9 pixel feather here. Hit Command + D to get rid of the marching ants (or Control + D on a PC), and your shadow is already looking fabulous. I usually bump the shape over two steps to the right and two steps down to start with…and then adjust the positioning of the shadow from there. See, that wasn’t too hard! 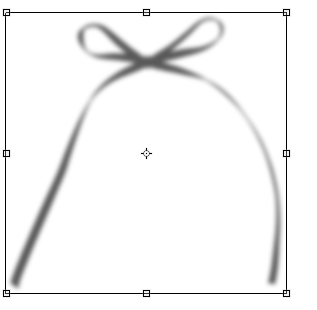 Now you can try some other fun stuff, like warping that shadow layer to make parts of the ribbon lift off the page. Have fun! Hi there! 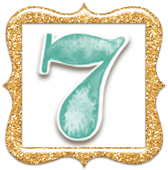 I’m Kacy, and I’m excited to share a post with you today. Woodgrain background? Check. Journaling in handwriting font? Check. Multiple background papers under the photo (either square or rectangle). Check! Black and white photo off-center? Check. 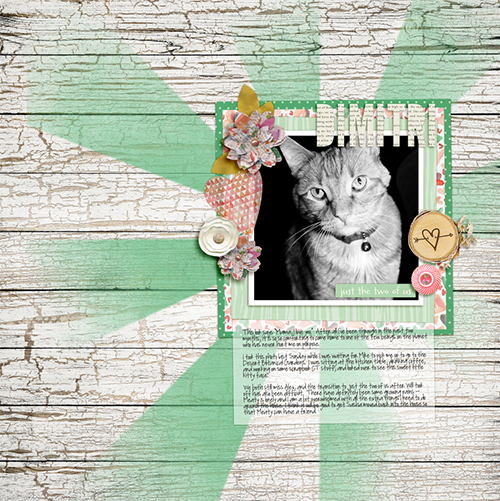 Smattering of elements and picture of my crazy ginger cat? Check and CHECK! 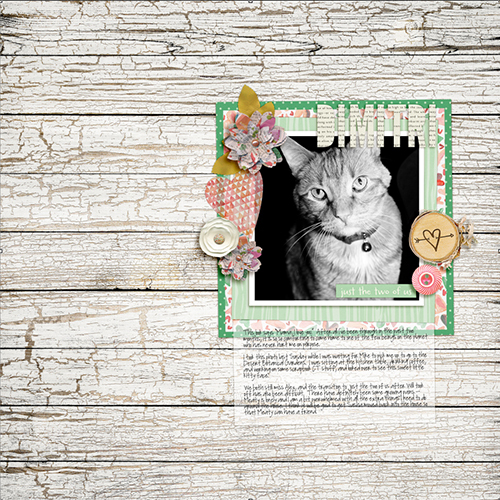 I am going to add a misted and masked layer over the background paper to add some visual interest to this layout with Gennifer’s Toolbox Mists, Version 1 and a set of Photoshop shapes I downloaded from the internet (please be careful where you download from!). First, I am going to convert the digital mist into a brush so that I can brush with any color I want. 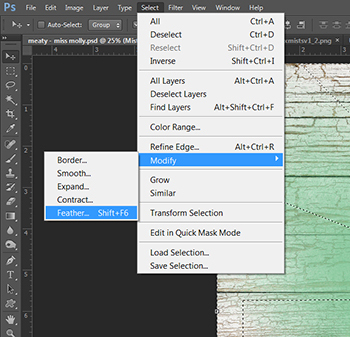 In Photoshop, go to File > Open, navigate to the brush you want to use, and click open. I am using brush number 2 on my layout. 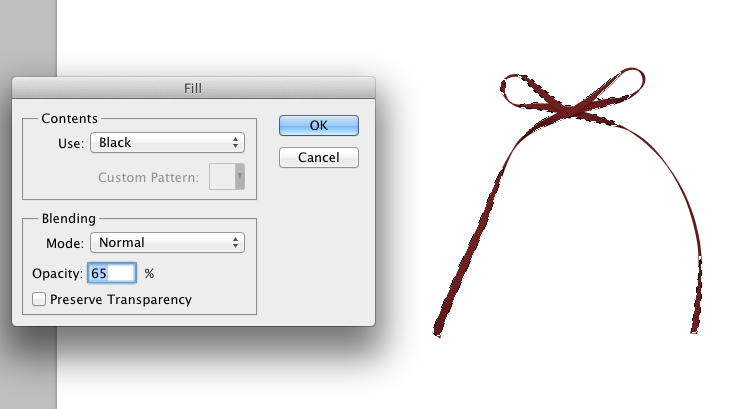 While on the mist document, select all (using Ctrl-A or Select > All from the menu bar). Then go to Edit > Define Brush Preset and click ok on the dialogue box that pops up to add the mist to your brush palette. 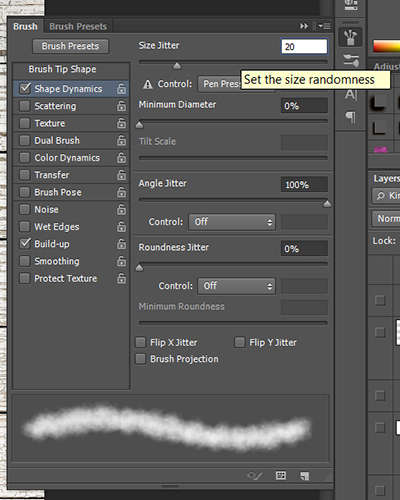 Then, choose your brush tool and find the brush you just defined. I am going to keep the original size of 3432 pixels. To make the misting a little more realistic-looking, we are going to have Photoshop vary the how the brush is applied when we “spray”. Open the brush palette (on the right hand side). Click on “Shape Dynamics”. 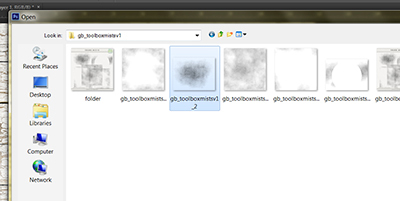 I want the brush to slightly change size between sprays, so I set my size jitter to 20%. I also want the brush to rotate to any different angle to make it look more realistic, so I set the angle jitter to 100%. 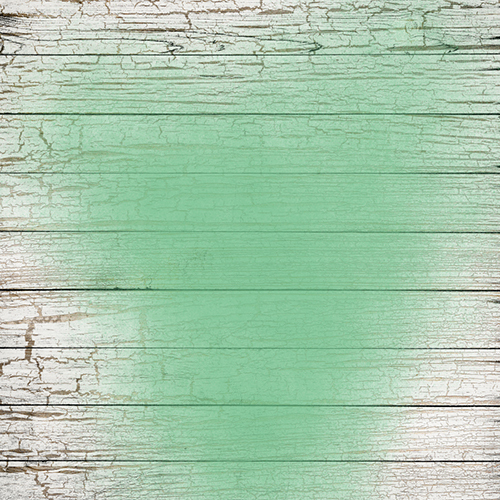 I turned off the smoothing feature, and turned on the “Build Up” feature to mimic layers of paint from an air brush. Now we are going to use the custom shape tool to cut out a stencil/mask shape from the mist – this will mimic the look of misting over a stencil. On the left toolbar, right-click on the shape tool and select custom shape. On the brush toolbar at the top of the window, on the right side is a drop-down box – click on the dropdown box arrow and select the shape for the stencil you want to use. 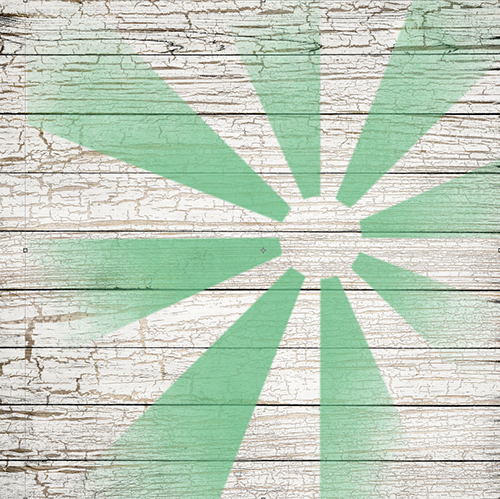 I love these sunburst shapes I downloaded from a free Photoshop site. Now we want to select only the new shape. While your shape layer is selected in the layer toolbar, hold your mouse in the layer thumbnail box, hold down the control key, and click inside the thumbnail box. This will select everything contained on the selected layer only. I wanted the shape I drew to be the shape of the mist that remains over the background paper, so I inverted the selection (Ctrl-Shift-I, or Select > Inverse from the top toolbar). I’m going to feather the selection by 5 pixels to take some of the sharpness off of the edges of the sunburst shape – to this by going to Select > Modify > Feather, type in 5, and click “OK”. I like this much better – a simple addition to the background jazzes up my layout and helps to focus the eye on my photo. I hope you enjoyed my tutorial!